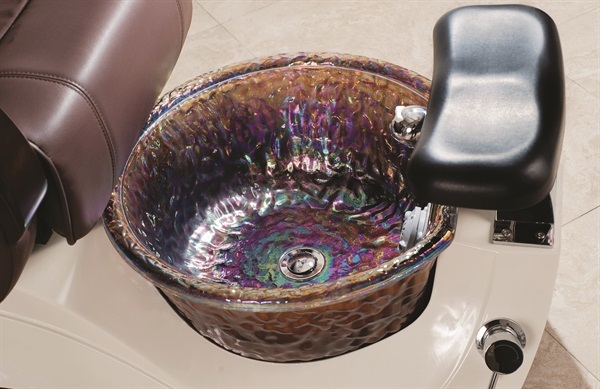 The Alden Crystal Pedicure Chair from Whale Spa offers reliability coupled with sleek and sophisticated features, including a beautiful, textured iridescent glass basin. The chair features synthetic leather that is resistant to acetone, chemicals, and abrasions. 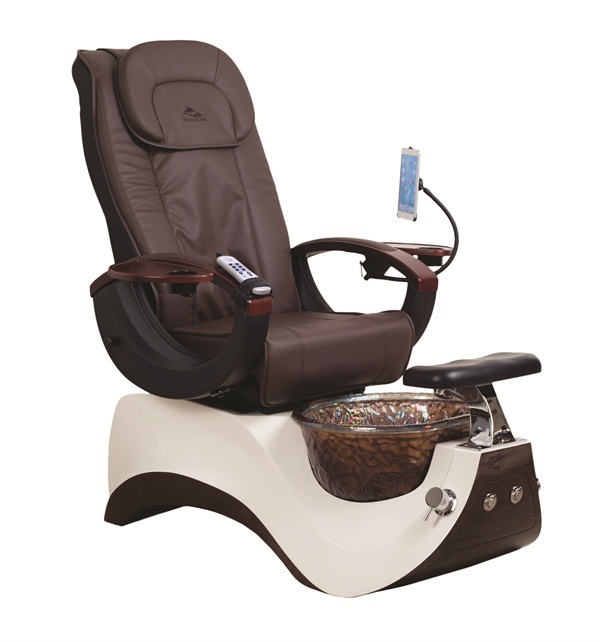 The sloping front pedestal allows technicians easy access to the client’s feet while offering a comfortable and relaxing spa pedicure experience. The durable, multi-function premium Shiatsu massage offers relaxing movements and can be adjusted to meet the client’s specific desires. It also features handy accessories such as an optional iPad holder, real wood arms, and a lovely chocolate color that will lend an air of sophistication to your salon. The pipeless jet is easy to clean and offers hassle-free operation.